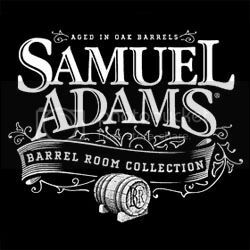 After the success of the Samuel Adams Imperial Series earlier this year, the Boston Brewing Company has announced another new premium collection, the Samuel Adams Barrel Room Collection. There's not much concrete information yet, but what we do know so far is that the beers will all be aged in oak barrels and sold in big 750ml bottles. I have to say, the Imperial Series was rather accomplished, and I'm expecting big things from this collection. Samuel Adams can clearly brew up big, character-filled beers when they choose to, and I'm looking forward to what they're going to do with the added complexity derived from barrel-aging. While there hasn't been a timeline released yet, I think it's safe to expect more details in the coming weeks.